Romeo & Jules’ passion lies in creating unique and bespoke stationery inspired by the techniques and patterns of earlier days. And, in these digital days, Romeo + Jules still believes in the art of experiencing textures, inspiring the senses, and of course all types of stationery. They believe that there is something oh-so-magical about receiving a beautiful, hand-written notecard or foil-pressed invitation and work closely with each client to capture their personal style and inject those elements into the look and feel of their stationery through the use of colour, texture and font choices. All of their designs are conceptualised, created and inspired by the daily wanderings through Notting Hill. Romeo + Jules approached Foundry Digital to design and build them a website that brought their brand to life on the digital page, as a continuation of their passion for traditional design and print. Their unique service required a website that was primarily visual, and acted as a look-book of their different designs. 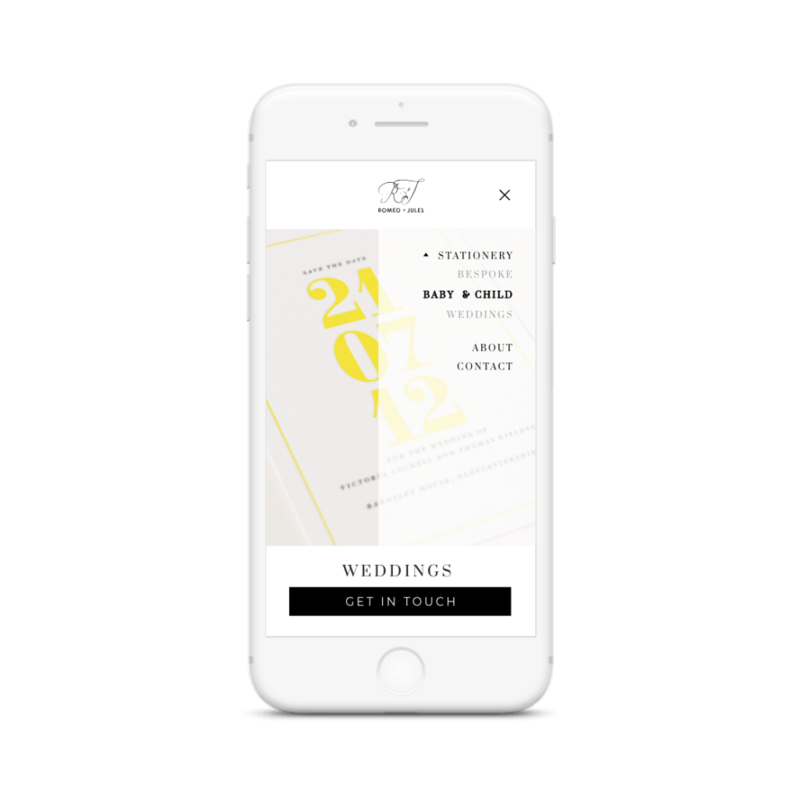 With the logo having already been taken care of by R+J, Foundry Digital’s biggest priority was building a website that allowed visitors to browse through the stationery options seamlessly, whilst not compromising on a layout that showcased the beautiful, artistic designs. The website is structured much like a portfolio, making the work that R+J offer clearly visible and readily accessible to visitors. As well as this, the new R+J website has a stylish feel to it, allowing the brand to be accurately represented online as well as through their gorgeous prints. Split into categories, the layout of the website makes it easy for visitors to navigate to the type and style of print that they are looking for, whilst simultaneously being able to enjoy and browse the visual array of designs. As well as this, the About section gives visitors an insight into how R+J came about, adding an even greater sense of personality to the website. 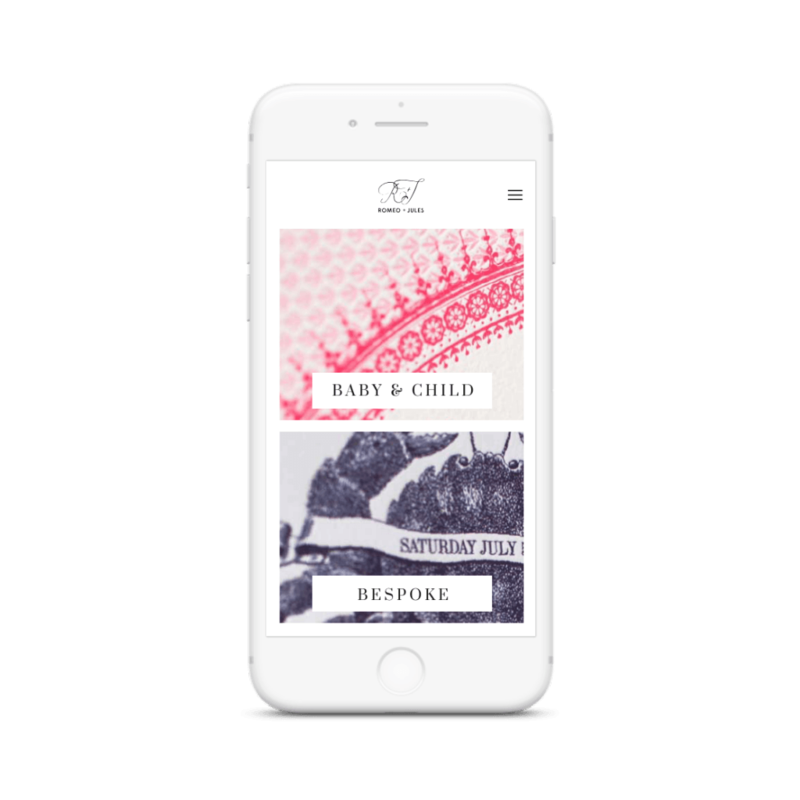 Throughout the website there are multiple calls to action aimed at encouraging visitors to get in touch with R+J, get talking with the creative masters and have their ideal stationery designed and hand crafted for them.